As previously discussed, offshore wind is well-developed outside the United States. In Europe, the first offshore wind facility was installed in 1991, and a record 3,148 MW of capacity was added in 2017. In comparison, the first and only operating offshore wind farm in the U.S. is Block Island, a 30 MW facility off the coast of Rhode Island, which began operation in 2016. 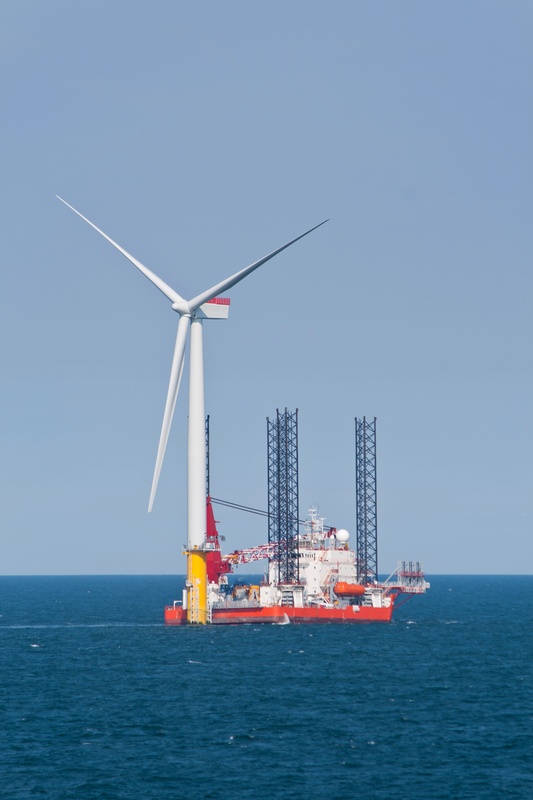 While the U.S. lags behind European wind energy leaders, Northeast states have sought to facilitate large scale offshore wind development by setting goals and awarding contracts to offshore lease areas. These recent activities have been met with optimism and promise; however, there still are challenges beyond initially securing leases that must be met before offshore wind projects in the U.S. are successfully implemented from start to finish. The United States has produced clean, renewable electricity from hydropower for more than 100 years. Today there are approximately 2,500 domestic dams and pumped-storage facilities that provide roughly 100 gigawatts (“GW”) of electricity. In addition, there are more than 80,000 non-powered dams, i.e., existing structures that could produce power, with the potential capacity of 12 GW. New England’s non-powered dams potential capacity is 243 mega watts (“MW”). Many of the 80,000 non-powered dams could be converted to produce hydropower at relatively low cost and within a relatively short timeframe. See U.S. Department of Energy, An Assessment of Energy Potential at Non-Powered Dams in the United States (2012). Last week’s U.S. Offshore Wind Leadership Conference in Boston had the vibe of a technology sector ready to break out. Industry leaders, federal officials, and a panel of Massachusetts legislators extolled the economic opportunities, and U.S. Senator Edward Markey and Massachusetts Energy and Environmental Affairs Secretary Matthew Beaton delivered inspiring keynotes. Speakers were interspersed with high-energy videos of offshore wind installations in European waters, along with many side meetings among project developers and hopeful supply chain participants. Offshore wind is garnering more than just hype in 2016. Key developments have this once fledgling energy source poised to finally gain momentum in the United States.